It's a cruel world out there ! As we we briefly explained in chapter one of the rear end set up we were close to a crisis. The reality sometimes randomly hits even us hard and without mercy. As you remember Anders CE Johansson fitting pieces became full of soot since Håkan was welding way to brutal without fully considering the risk or understanding the situation. 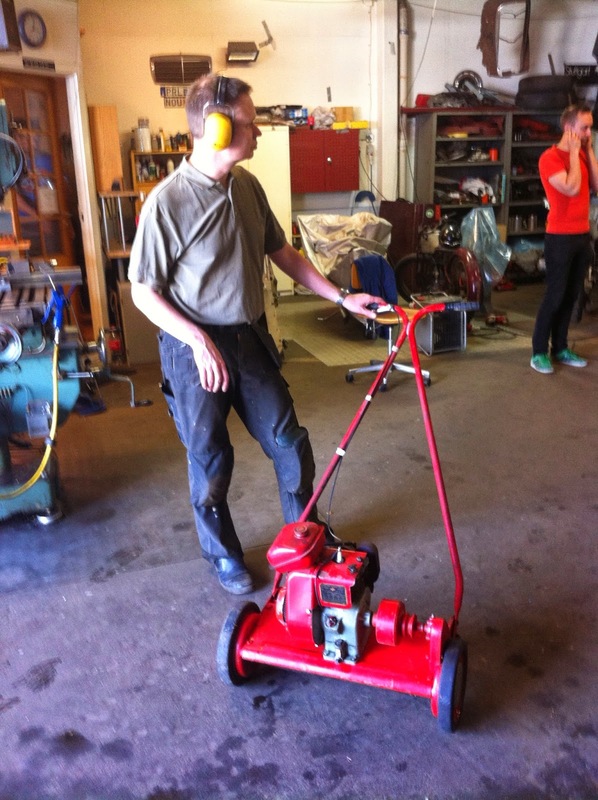 Anders became upset for a short while and proposed to Håkan to only focus on the vintage Suffolk Lawn mowers, a pragmatic damage control and risk management for the future.